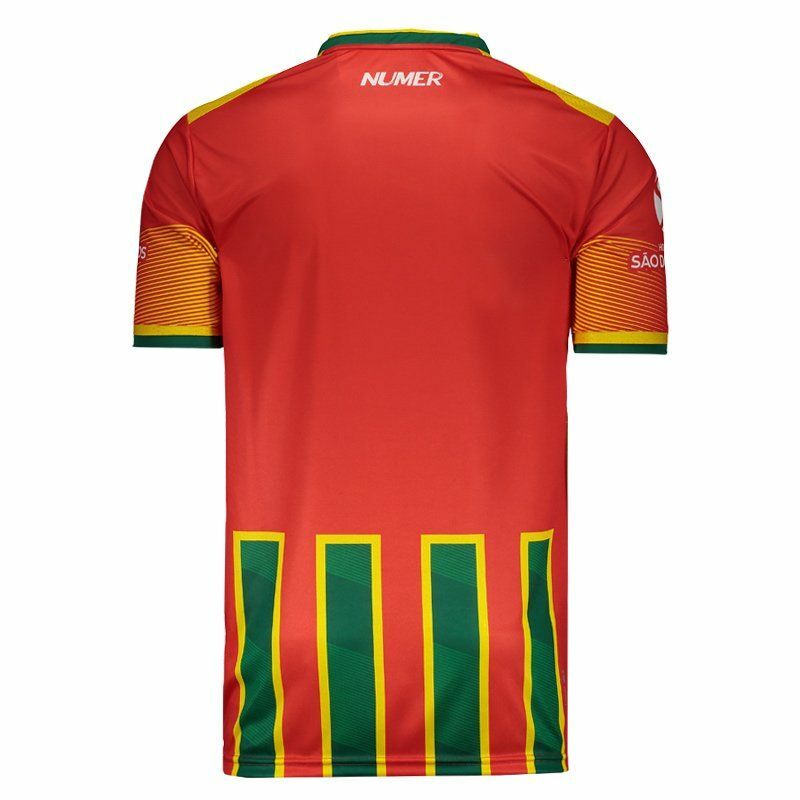 The Numer Sampaio Corrêa Home 2017 Jersey is made of lightweight polyester with New Dry technology, which offers a lightweight, comfortable fabric and provides high absorption of sweat from the body, keeping it dry and at a stable temperature. More info. 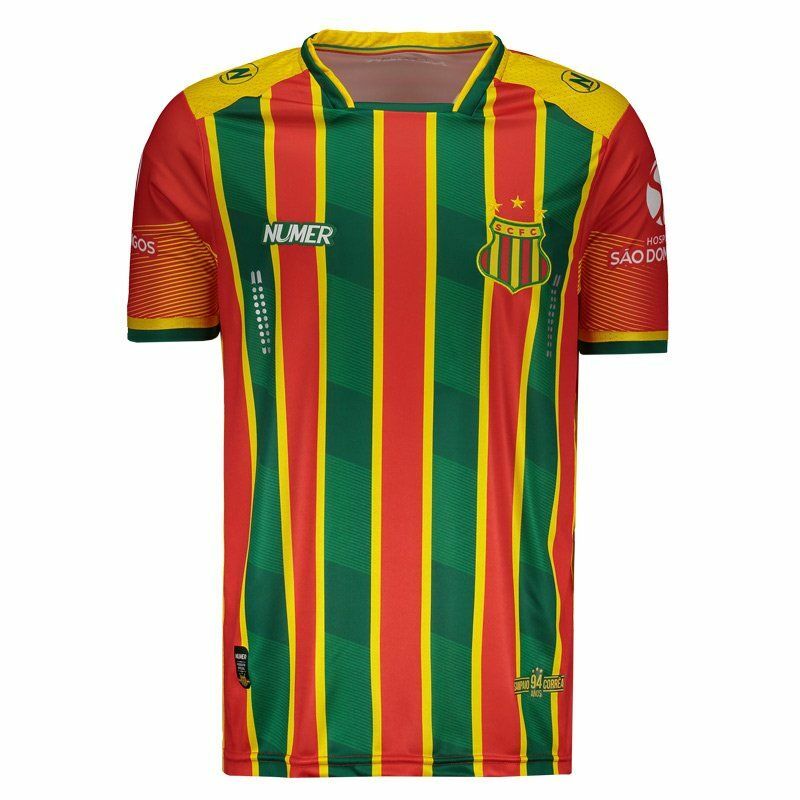 The Numer Sampaio Corrêa Home 2017 Jersey is made of lightweight polyester with New Dry technology, which offers a lightweight, comfortable fabric and provides high absorption of sweat from the body, keeping it dry and at a stable temperature. 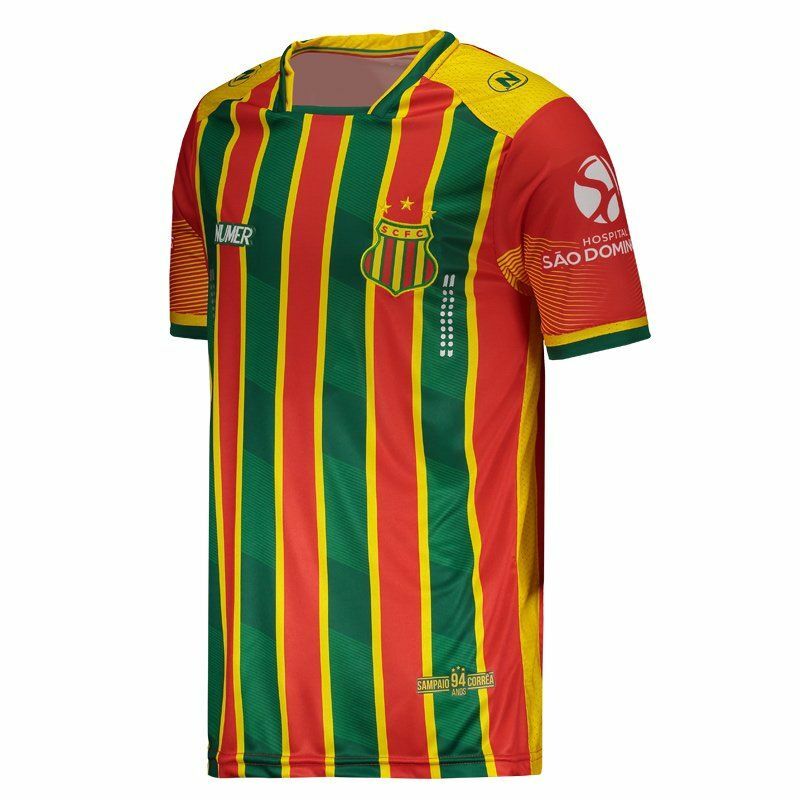 It can be customized with name and number using the official team fonts and its design features the team colors, containing vertical stripes textured in red, green and yellow. The same set of colors is seen on the crew neck collar and cuff of the sleeves, which in turn comes with superimposed fabric and ribbed finish. There are also lines in the front that generate a movement effect to the mantle. 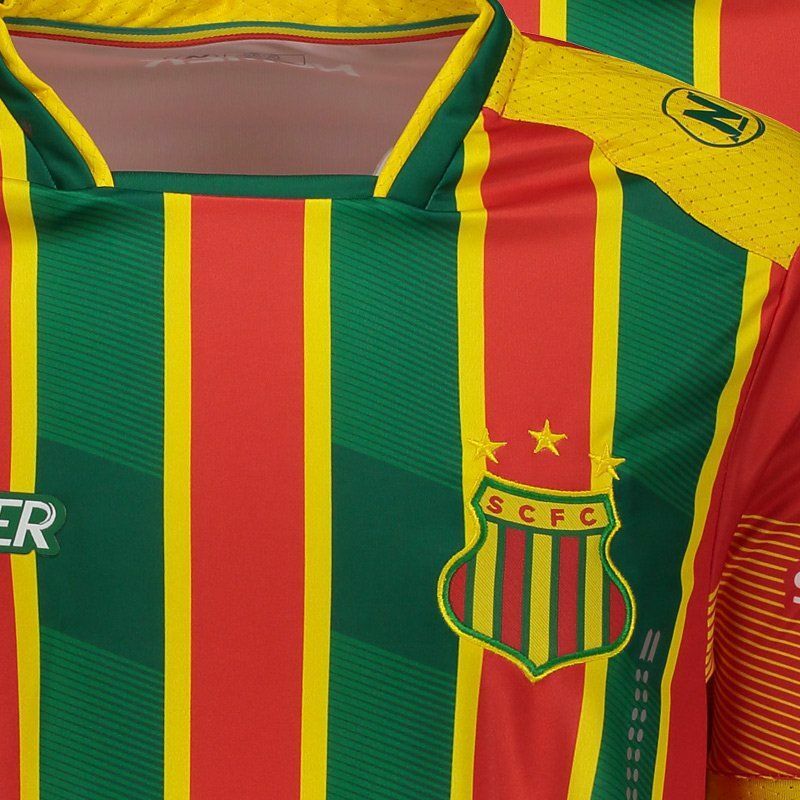 Already on the chest, the team's badge is present as well as the logo of the brand, which also appears in the shoulder region. Sponsor logos are seen and finally, it has the stamp "Sampaio Corrêa 94 Anos", next to the bar.